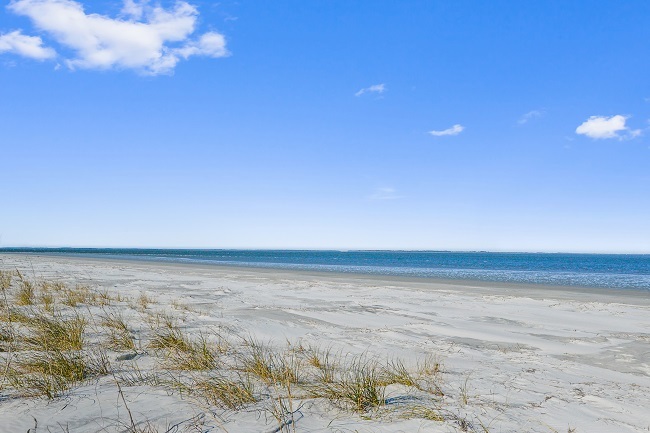 11 Ebb Tide Court is located on the private beach community of Harbor Island, South Carolina. Ebb Tide Court is a small, quiet street that is easily accessible from North Harbor Drive. Harbor Island neighbors Fripp Island, and is just a few minutes from Hunting Island State Park. Historic Beaufort, Henry C Chambers Waterfront Park, and the neighboring town of Ladys Island is less than half an hour away. 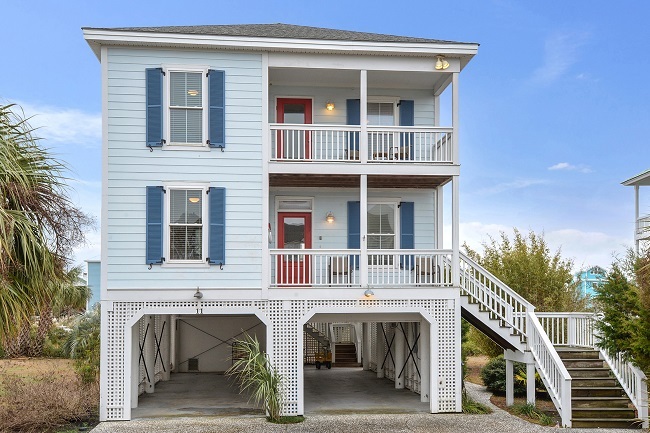 This two story beach house has four bedrooms, three full baths, hardwood floors, and has approximately 1926 square feet of enjoyable living space. It offers a fully equipped home, perfect for your next vacation. 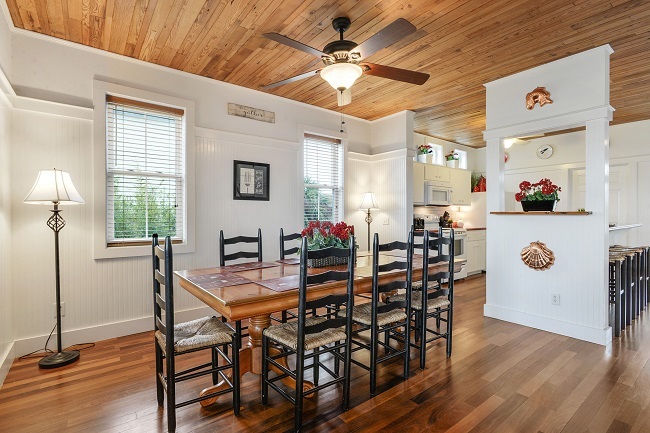 The full kitchen has everything you may need to make a perfect meal with friends and family. There is even a gas grill to use. The main floor is open, allowing for great flow from room to room. There is additional seating on the back deck, aside from the large table in the dining area that seats eight. The living room is super comfortable with the sofa, loveseat, and armchair. There is a flat screen cable TV for movie night, and a decorative fireplace. The bedrooms are upstairs, and each bedroom has a cable TV and ceiling fan. The master bedroom has convenient access to the back deck that has a relaxing hammock. 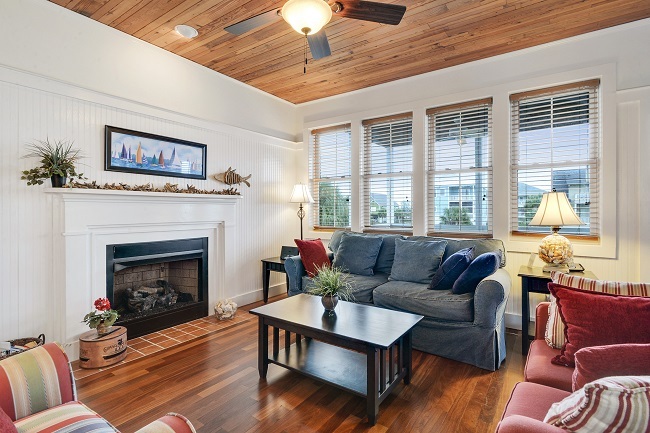 Enjoy views to the Harbor River and the Saint Helena Sound. 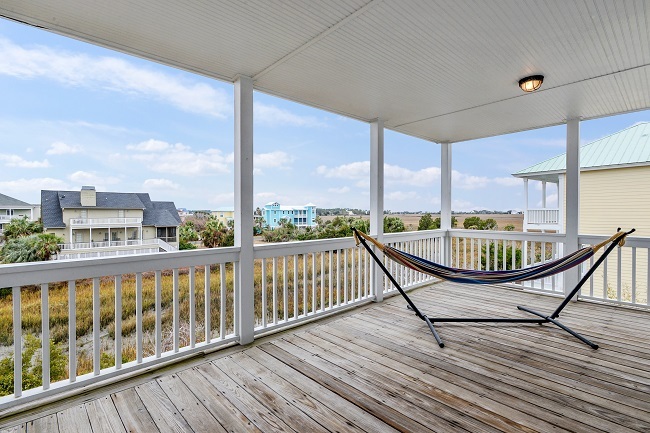 Going to the beach is just as enjoyable, as this beach home is steps from the home. There is a beach wagon that is provided, and is perfect from toting your beach gear from the house to the short walk to the beach.